The noted government minister Chris Grayling has suggested that the UK can deal with any food shortages after Brexit. A thinker noted for the concision of his arguments, his solution is to ‘grow more food‘. 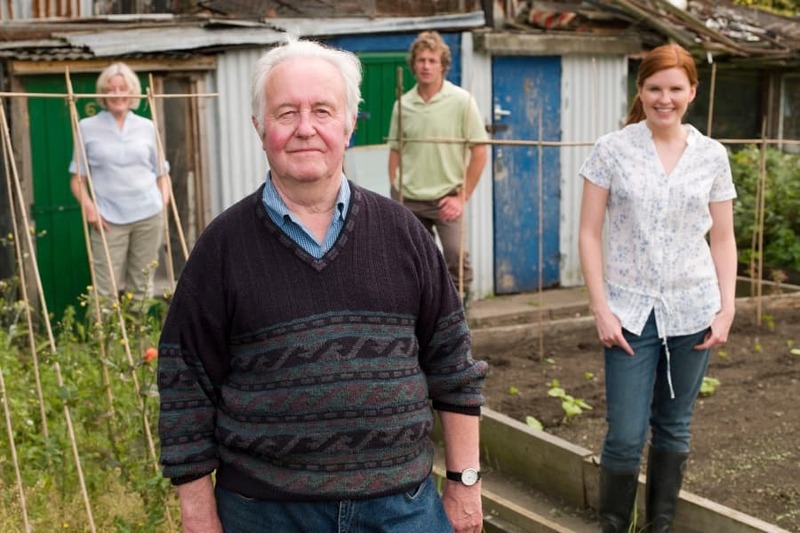 Citizens can play their part by growing produce in their gardens and allotments. But how much food do we currently grow at home? A paper in new journal Plants People Planet by Jill Edmonson and colleagues aims to find out. The last work in the UK on the topic dates from the middle of the last century. At the time food shortages were a problem, and maximising productivity an important goal for the government. Since then the number of allotments available for growing has fallen by 80%. Earlier work by Edmonson and colleagues had already shown that it was an important gap in our knowledge. Even without current political issues, urban agriculture is a matter of interest. The authors refer back to earlier studies showing the value of urban agriculture to the environment. A lot has changed since the 1950s. A survey of current productivity could allow people to develop policy based on current realities instead of the Second World War. But how do you get that data? The team has set up a citizen science project for the UK, MYHarvest. They’re asking participants to measure the area they have for growing crops and to weigh what they produce. They are tracking 25 categories of crop and, because Britons like to eat more than 25 things, a category for ‘other’. The paper states: “…28% of harvests were entered into the “other” crop category.” That suggests there’s potentially something interesting about crop diversity grown at home in the UK. There is a question of the value of the data. If the results people enter are junk, then the work on the dataset is a waste of time. In the paper Edmonson and colleagues say: “While recruiting participants to the project we have made it clear that we are interested in both the successes (high yields) and failures (low or no yield) from specific crops, however, we acknowledge that the citizen science approach used may result in systematic sample bias.” The guidelines are written well. Not only can you measure the plots easily, they also show how to weigh your produce. In my case it would be weighing a lack of produce. I have a tiny garden and the skill set to match. One courgette plant of two failed last year, and the tomatoes suffered a bit in the heat. The strawberries didn’t bother getting out of bed till the autumn. On the website the MYHarvest team emphasise how important negative data is. “It’s really important that the data is representative and realistic, so please be honest and submit data for your crops that fail as well as those that flourish.” It’s a challenge, because you want to show off your garden, and that’s not happening with a small crop. If they can show where crops fail and why, then the authors could have some insights the public can use straight away. Plants People Planet aims to publish papers with social relevance. There’s no doubt this paper has it. Brexit casts a shadow over the project. MYHarvest could help inform intelligent debate on post-Brexit policy, if there were a demand for that. However, even without Brexit this is still a long overdue study. It will help us to understand what is possible with urban agriculture in the UK and what might not be possible. Next articleDoes a supergeneralist plant locally specialize on the most effective pollinators?